There are several pieces of equipment you can have in your shop to take care of dust and other airborne particles. The most common tools are shop vacs, but you should never rely solely on these machines to keep dust at bay. You should always don PPE like respirators when working at the job site or workshop. We’d like to take a look at a part-respirator, part-helmet, part-face mask, part-ear protector: the AIR/PRO Airshield and Faceshield produced by TREND. From reviews left by customers, the satisfaction levels of using this airshield are mixed with people on both sides of the love/hate spectrum. We’d like to take a closer look at this airshield and determine once and for all whether it’s something to love or hate. Fully assembled, this airshield weighs only 2.1 pounds which is about the same weight as the standard welding helmet. The entire unit wraps around your head and face, evenly distributing the weight of the unit. If you can wear a welding mask or give a toddler a piggy-back ride, then you can wear the AIR/PRO Airshield without any issues. The AIR/PRO Airshield comes with a plastic visor that offers maximum visibility. A film of anti-static plastic can be attached to the visor to keep dust and other particles from latching onto the visor and clouding your vision. If any stubborn particles make their way to the surface of the visor/plastic film, simply wipe it away with a microfiber cloth; this will retain the film’s anti-static property while restoring perfect visibility from within the helmet. The double-filtration system inside of the helmet keeps works extremely well. Before air is blown against our eyebrows, it gets suctioned up by the built-in fan and pushed through super-fine filters that capture 98% of particles as small as 0.3 microns. These are not HEPA-grade filters, but you can purchase and attach HEPA filters if you prefer them (sold separately). The lifespan of each filter depends on how much work you do in the shop. Some customers need to change them every few weeks while others can go on for months without needing replacements. In this day and age, we were quite surprised that TREND decided to have this Airshield run on NiMH batteries and not Li-Ion. There are several problems we have with this choice of battery. Straight out of the box, you need to condition the battery. This means charging it and leaving it untouched for 24 hours. Next, this battery’s power output will decrease significantly the older it gets. This is natural in NiMH batteries, unlike Li-Ions which remain as healthy as ever until their dying die. 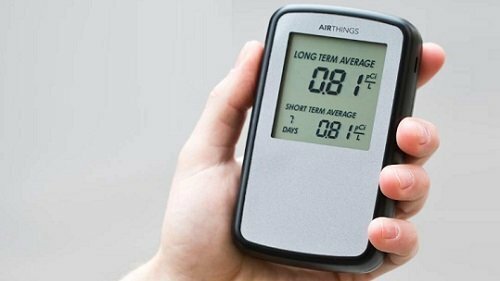 The AIR/PRO Airshield comes with integrated fans that suction air from outside and passes it through a filter before gently blowing your eyebrows. The fan spits out between 160 and 200 liters of air per minute which can actually be quite disruptive if you’re not wearing glasses inside of the Airshield. Oftentimes, when wearing welders helmets or other pieces of headgear, the helmet is either too snug around our heads or too loose. The AIR/PRO Airshield doesn’t have this problem. The headband inside of the mask is easy to adjust to fit the circumference of our craniums. By making a few adjustments, you can ensure that the mask doesn’t come flying off your face in the middle of your work. Maintaining a clear AIR/PRO Airshield is extremely easy to do. 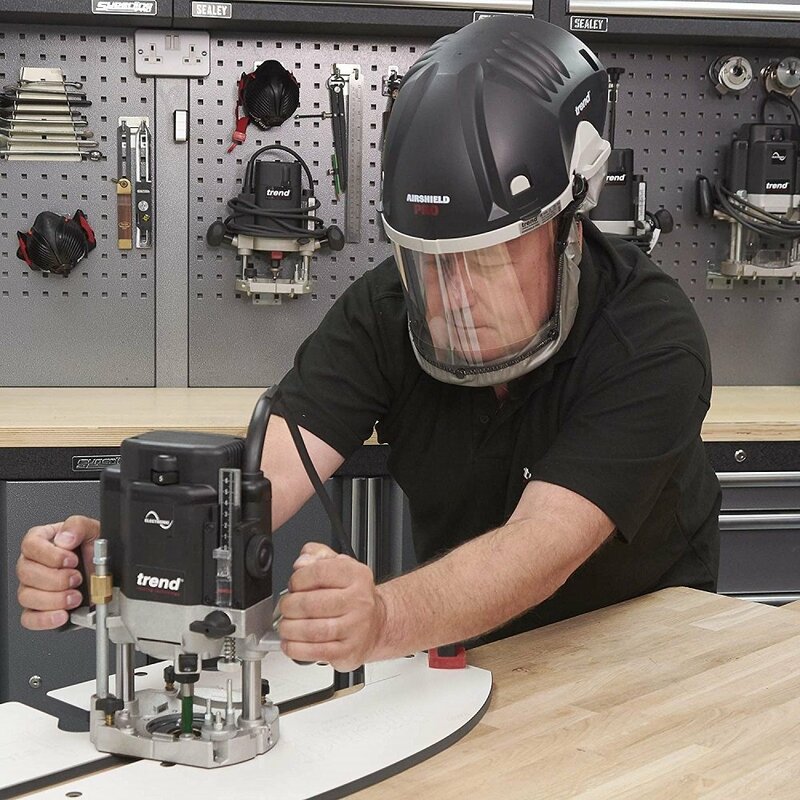 We and other customers found that the best way to clear the helmet of particles, both inside and out, is with a shop vac and a brush attachment. There aren’t too many crevices to probe the shop vac hose into so getting each, and every particle is easy. After there aren’t any visible specks of dust, give the entire unit a wipe down with a wet microfiber cloth. 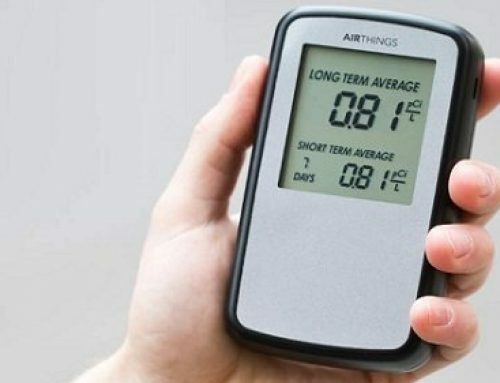 We were actually quite surprised to see that this Airshield from TREND has received so much bad press. Most of the complaints of this piece of headgear are centered around the blowing mechanism (too strong!) and weight (too heavy!). Admittedly, 200 liters/minute might be a bit too much if you don’t wear glasses under the Airshield, but the weight (2.1 pounds) is hardly anything. Performance-wise, there’s absolutely nothing not to love about this Airshield. Dust and other microscopic particles have no chance of piercing through the protection provided by the AIR/PRO Airshield.